CEVA Logistics and CMA CGM have extended their partnership following from DSV’s second failed bid for CEVA Logistics. As part of this joint action, CEVA Logistics will purchase CMA CGM’s freight management business whilst CMA CGM has said that it will provide an exit option to shareholders. CEVA Logistics and CMA CGM have agreed that CEVA Logistics will remain a listed company with an arm’s length business relationship with CMA CGM. CEVA Logistics is looking to generate new commercial opportunities and improve operational efficiencies, with the purchase of CMA CGM’s freight management business, which has been described as ‘highly synergetic’ by CEVA Logistics. The price, for cash or shares, is yet to be agreed upon. CMA CGM, as part of the industrial project, will offer to CEVA Logistics’ shareholders, who want to exit their investment, a price of CHF 30.00 per share to purchase their shares. Interestingly, this was the same price that DSV recently offered in its second bid proposal to acquire CEVA Logistics. CMA CGM is contractually obliged to formally publish the offer by means of a pre-announcement at the latest on November 30, 2018. As a condition for joint industrial project, the Board of Directors of CEVA Logistics has agreed that CMA CGM’s tender obligation in case of a third party offer is waived with immediate effect. However, this shall be reinstalled if the offer of CMA CGM is not carried out as agreed. 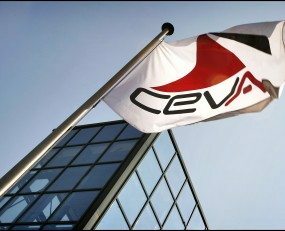 CEVA Logistics will provide further details in connection with the announcement of its Q3 2018 results.